I hope that you’re all having fun with your new tools and working on lots of cool projects—we’ve been hard at work back in Durham trying to build improvements to the tool to make your experience even better. 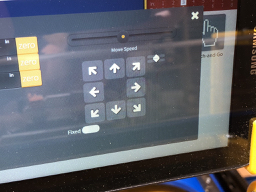 Recently we’ve come up with a number of improvements to the FabMo interface that controls your handibot. These updates include some very fundamental changes to the firmware that runs your tool and will require a few extra steps to install correctly. Please take a look at the attached document detailing the steps that you’ll need to take to successfully update your tool. If you have any questions, don’t hesitate to email me back and I’ll look into them and share the answer with the whole community. Also, stop by the forum where I’ll be making a similar announcement just in case some people don’t check their emails. If you happen to receive this email but aren’t the main user of the tool, please try to have this information forwarded to the main user so that their tool will be able to benefit from these improvements. MOST IMPORTANT: One new feature of the software is a personal login with password that will protect your tool from unexpected activation by other nearby users. When you complete your update, you will be prompted to login using the default username and password. Just FYI, for some reason this attachment doesn't work at all! I did not get this email, just happened to see it here in the Forum. How does one get on the updates mailing list for Handibot2 owners? I would have thought buying one accomplished that. I did get a couple of bounce-back emails from some customers on our mailing list; yours may have been one of them. Please send me a private message with your preferred email and I'll make sure it gets corrected in our records. I am halfway through the updating process for v.1.2.0 of Fabmo, as instructed in Handibot Service Update v003 pdf. I have cleared my caches and refreshed my browsers, and tried about 5 different browsers on 3 machines and my Android phone, and none of them ever popped up a login window that was described in the documents when I try to access 192.168.42.1. Without that login window, I am locked out of my Handibot. HELP! Any idea how to get the login window to appear? I think we eventually got Steve going again and his email straightened out. Anyway, a few more thoughts on that update if you have not done it yet. Unfortunately, we have found that this one does not always execute successfully. So don't hesitate to contact us for help. We have some additional recovery resources if needed. If you find yourself stuck in never-never land as Steve did: First, see if you can connect to the behind-the-scenes updater software in direct (AP) mode using the IP address 192.168.42.1:81 (note the ":81" at the end); then, check to see if you have a blue light flashing at 4 sec on the Control Card, and if not, run the Firmware update option form the left-side panel -- Did that get the blue light flashing? If you've got the flashing light, then use the left-panel option for "System" and click on Stop FabMo, followed by Start FabMo (not much will happen; just a one line acknowledgement). Finally, select Go to FabMo Dashboard from the left panel. Let us know if that does not get you restarted. 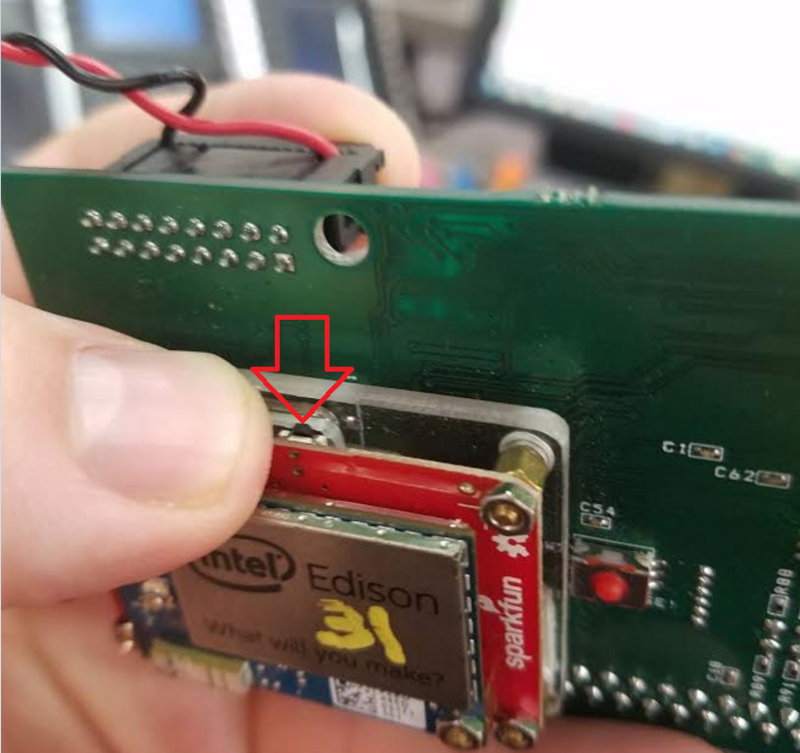 I have been able to connect to the Handibot 2.0, use fabmo, and run the test carving just fine.. THEN I began having the same problems at Steve... could connect to fabmo's wifi but could not access fabmo. 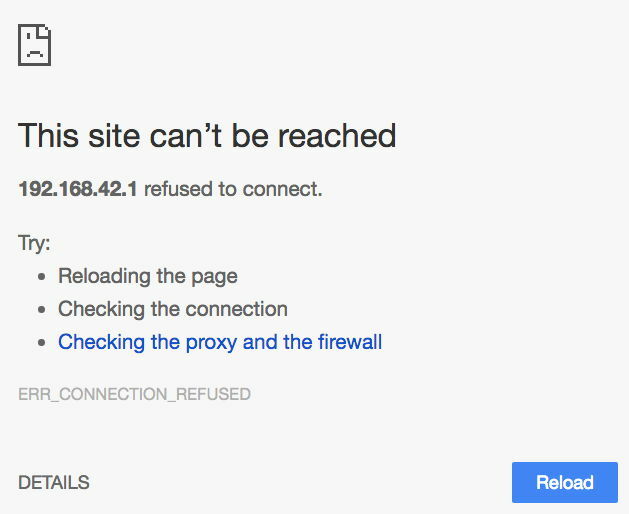 i tried successfully to log on to port 81, but could not connect to a discovered wifi network. after that failure the Handibot no longer transmits any WIFI signal. nothing to connect to. after unplugging and powering down there is still no wifi signal at all. How do I reset it all? To send your tool back to AP mode (its own wifi rather than your network) you can press the green "start" button for 10 seconds continuously while the tool is powered on. After you release the green button--give the tool about 30 seconds to appear on your list of available wifi connections. Once you're back in AP mode and connected to the tool you'll be able to get back to the updater at 192.168.42.1:81 and restart the fabmo engine. This should allow you to get back on your dashboard to either resume use of the tool or complete the update process. Brian, I have tried this procedure but the wifi connection to the Handibot never appears. I have tried it for much longer than 10 seconds to make sure, but no luck. The blue light on the plug in circuit card flashes about every 4 seconds after I release the green button, but no wifi. I notice that Fusion360 includes a generic shopbot post processor. Will this post cause the 4th axis connected to the accessory port to rotate? 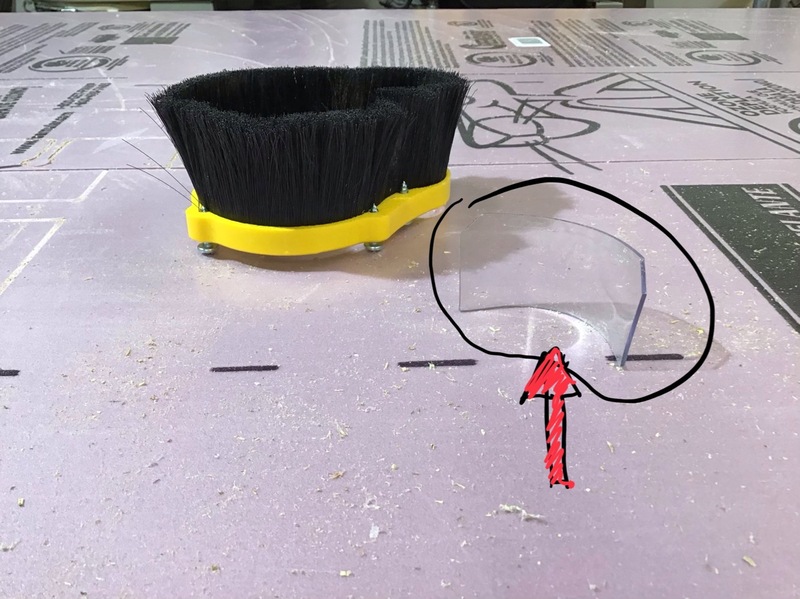 Is there a way to manually rotate the work using the fabmo controls? Finally, I have found no info on carving opposite sides of a block with an indexer in VCP Any advice? This video explains two-sided work, with some imagination you should be able to work it out to the indexer. If you do,please share as I have not gotten there yet. I haven't gotten to a Rotary indexer myself, but I've been reading up a lot on it. I thought about doing the same thing you are - and it looks like the best bet is to have a square model in V-carve. You would need some way to do modeling - perhaps check into using google sketchup (free). Import it, then unwrap it. I believe you can V-carve/pocket/etc onto the model. Again - I haven't done it - just guessing. I'm having a hell of time with this. I've tried like 4 different adapters, none of them work. I even ssh'd into the device to make sure. The are recognized by the kernel, but don't show up in ifconfig. Can someone provide a link to one on amazon that is currently for sale that actually works? Just assembles the new Handibot Long Sheet Tool or Bridge. In a attempt to calibrate I have discovered a couple of problems. Using FabMo jog in the Z axes the buttons are very small buttons on the Android Pad. They are so close together it's very hard to choose one over the other. Also my Z axes seems to be jamming and looses the Z Zero location. Any suggestions. Jack--we've been chatting over email about the z axis--but could you post some screenshots from your phone of the z movement buttons? This is a screen shot of the Arduino Pad. Notice the up and down buttons for the z axes. On my iPhone X they look normal and easy to use. This is the iPhone screen. Nice easy to access buttons. Very weird! Do you have access to alternative browsers on the Arduino pad? I'd be curious to see if firefox or some other browser would have that issue. I don't. It's the one I bought last week from Shopbot/Handibot. ohhh I see--I thought this was a separate device. Let me look into it! Just checked on mine here--yep I get the weird buttons in chrome as well. That iteration of the manual control pad is new in the 1.7.0 release of FabMo--I've shown this to the developers. In the meantime; I downloaded firefox on the tablet and the control pad works correctly in firefox. I'd recommend switching browsers for the time being. Just wanted to let you know that the FireFox browser works. I do have another question on the Fire-Up app. The button the to open the xyz motion control does not work on Chrome or Firefox. Is that suppose to work. The control button on the left does open the control pad. What was the reason from separating that from the coordinate panel? On another subject, sorry. 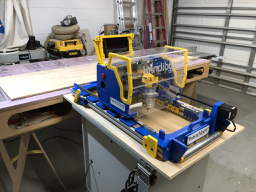 I just purchased the Handibot long sheet tool. I was worried about maneuvering and lifting the Handibot because it weighs 75 pounds. 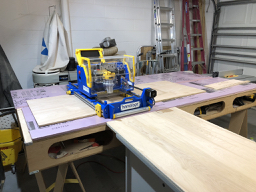 I resolved the issue with a handy table the height of my worktable (which is ideal for the Handibot). I roll the table up to my work table and roll it across with very little effort. Nice work table! The Bridge Edition (Large Sheet Tool) is about as much as I'm willing to lift--and can be a bit awkward because of the size. Glad you've found a way to make it work for you. Regarding the keypad and DRO (digital position readout) being separated--The FabMo developers have been trying to get the software ready to roll out on our larger tools. On desktop size tools, people do tool changes much more frequently than they do on Handibots. When you do a tool-change mid-file, you need access to the manual control pad to move the tool to a position to change and zero the bit, plus instructional messages need to be displayed ("move tool over z zero plate...") This required a manual control pad that could run independently of whatever else was going on with the tool (job running, etc...). So their solution was to break out the manual controls in the way that you see. I've been working with them on some further changes to make things easier to use--I really like the speed slider, I actually never use the z zero plate anymore, I just turn the speed all the way down and move the Z axis until it is just above the material, then hit "zero". This seems to be a really comfortable way to use the tool, so they are going to add slow and rapid z move buttons--so that you don't have to keep fiddling with the speed slider. The button that launches the manual control pad will get a lot bigger so that it is easier to find and press. The DRO will behave more like it used to--adjusting the scaling on the interface rather than covering up part of your app. One last thing. The clear plastic sleeve popped out of the dirt boot. Any suggestions on how to re-inset and glue/press-fit/wedge this back into place? Responded to you in other thread.